Sizes of leg muscles in young adults with cerebral palsy can be reduced by up to 50% compared with typically developing people (Shortland 2009). The reduced muscle size may be caused by the effects of cerebral palsy itself, reduced muscle use, treatments that are directed at the muscle (such as surgery), or a combination of these factors. This deficit in muscle size contributes to both reductions in muscle strength and walking capacity (Gillett et al 2018). Resistance training (“strength” or “weight” training) leads to increases in strength of the muscles being trained. There are two main pathways to increase muscle strength: i) increasing the size of the muscles – bigger muscles generate more force, or ii) improving how well the muscles contract – the activation and control. In people with cerebral palsy, whose muscles are different to typical muscles, conventional resistance training can improve muscle strength (Taylor et al 2013). Up until now there hasn’t been any research to explain how this occurs. Also, an important goal for people with cerebral palsy is to improve performance of everyday activities. Previous research has shown that there is limited transfer of strength improvements from conventional resistance training to functional activities (Taylor et al 2013). Research has shown that performing anaerobic training in people with cerebral palsy – activities such as running, agility exercises, and stair climbing at high intensities – can be more beneficial for improving walking and running capacity (van Vulpen et al 2017). While we know that increases in muscle size can be achieved via a wide variety of training programs, across a broad range of people, it is unknown whether muscles in people with cerebral palsy can get bigger if they’re trained appropriately. It is also not known whether there would be greater improvements in function if we added functional training exercises to a resistance training program. We recently conducted a combined functional anaerobic and resistance training intervention in young adults with cerebral palsy (Gillett et al. in press). Supervised training sessions took place 3 times per week, for 12-weeks. 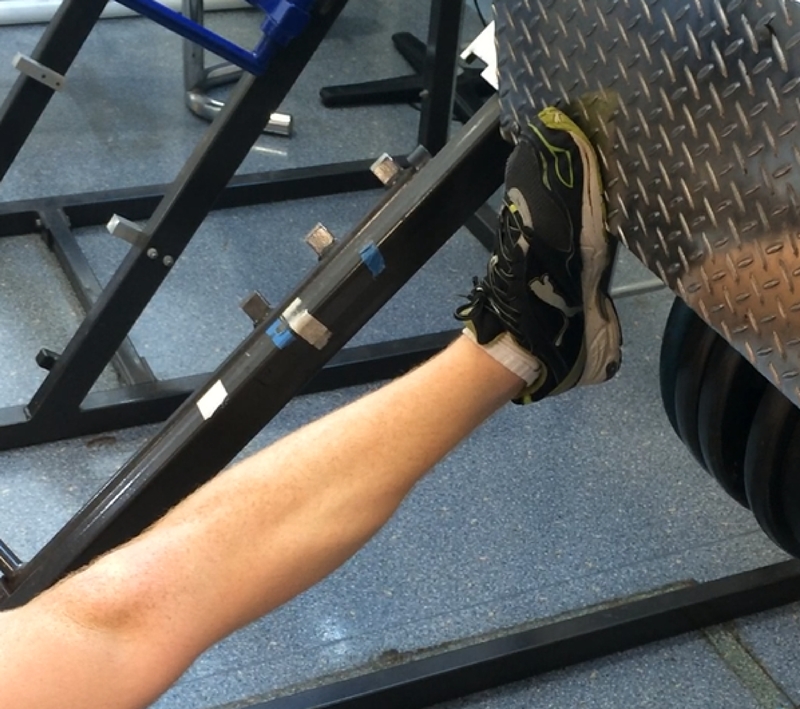 The leg muscles, particularly the calf muscles, were targeted by heavy progressive resistance training exercises. The functional training was made up of shuttle running, stair climbing, step-ups, agility running, and sprints that were performed in short bursts of maximum effort lasting 20-30s. We assessed changes in calf muscle strength, calf muscle size, and functional capacity using walking and running tests. We also measured these outcomes in a control group who did not perform any training over a 12-week period. We found that combined functional anaerobic and strength training improved calf muscle size by 7 – 10% in the training group. Calf muscle strength increased on average by 25% after training, and functional capacity improved (walking distance by 6%; sprint power by 8.5%; agility by 13%) following training. The increased muscle size did not explain the whole increase in muscle strength, which is likely due to the changes in muscle activation and coordination that are known to occur with resistance training, as well as the effect of the functional exercises. Importantly, there were no changes in muscle length or muscle stiffness after the training program. Outcome measures were unchanged in the control group. The results from our study show that leg muscles in young adults with cerebral palsy can get bigger after performing resistance training combined with functional exercises for 12-weeks. Higher levels of muscle mass and strength have substantial benefits for overall health, and are associated with reduced mortality risk as we age (Abramowitz et al 2018; Ruiz et al 2008). This may be particularly important for people with cerebral palsy, who have reduced muscle mass and strength compared to typically developed people, and whose function is known to decline into early adulthood. Adding functional exercises like running and stair climbing performed at maximal effort may be important for the transfer to improved mobility and walking capacity. The training program design should be specific to the targeted outcomes – you get what you train. This intervention was performed in higher functioning individuals with cerebral palsy who were able to walk and run. Results are therefore not generalizable across the spectrum of cerebral palsy motor impairment levels. Gillett JG, Lichtwark GA, Boyd RN, Barber LA. Functional anaerobic and strength training in young adults with cerebral palsy. Med Sci Sports Exerc. In Press. Abramowitz MK, Hall CB, Amodu A, Sharma D, Androga L, Hawkins M. Muscle mass, BMI, and mortality among adults in the United States: A population-based cohort study. PLoS ONE 13(4): e0194697. Gillett JG, Lichtwark GA, Boyd RN, and Barber LA. Functional capacity in adults with cerebral palsy: Lower limb muscle strength matters. Arch Phys Med Rehabil 99: 900-906.e1, 2018. Ruiz JR, Zuemei S, Lobelo F, Morrow Jr JR, Jacksen AW, Sjostrom M, Blair SN. Association between muscular strength and mortality in men: prospective cohort study. BMJ 337: a439, 2008. Shortland A. Muscle deficits in cerebral palsy and early loss of mobility: can we learn something from our elders? Dev Med Child Neurol 51 Suppl 4: 59-63, 2009. Taylor NF, Dodd KJ, Baker RJ, Willoughby K, Thomason P, and Graham HK. Progressive resistance training and mobility-related function in young people with cerebral palsy: a randomized controlled trial. Dev Med Child Neurol 55: 806-812, 2013.
van Vulpen LF, de Groot S, Rameckers E, Becher JG, and Dallmeijer AJ. Improved walking capacity and muscle strength after functional power-training in young children with cerebral palsy. Neurorehabil Neural Repair 31: 827-841, 2017. 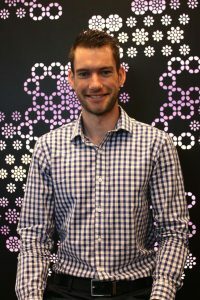 Mr Jarred Gillett (BExSc) is a PhD Candidate within the Queensland Cerebral Palsy and Rehabilitation Research Centre, and Centre for Sensorimotor Performance at The University of Queensland. 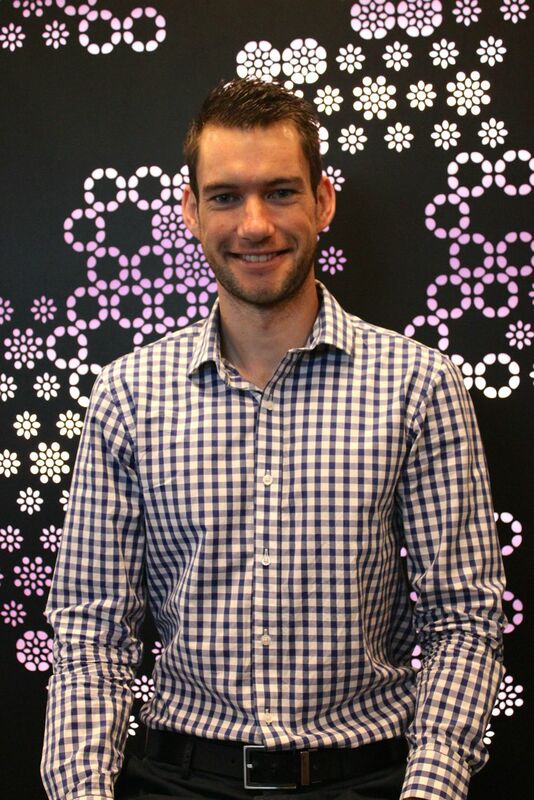 His PhD project is investigating structural and mechanical properties of muscle in individuals with cerebral palsy, and how these can be influenced by physical interventions.